Available in pintuck, satin, crush and organza fabrics, in a variety of colors. 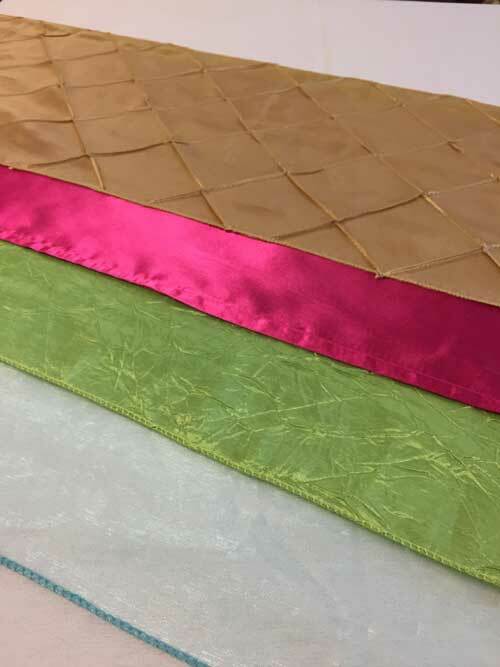 Specialty colors and fabrics are available, see our specialty linens link for fabric options, call or stop by the office for pricing and availability. There is a 10% damage waiver added to all linen items.